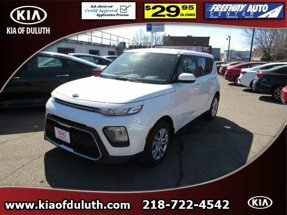 Description When you're ready to upgrade your ride, opt for this 2019 Kia Soul BASE AUTO, which includes features such as backup camera, Bluetooth, braking assist, hill start assist, stability control, traction control, anti-lock brakes, dual airbags, side air bag system, and digital display. This one's available at the low price of $19,360. With a 5-star crash test rating, this is one of the safest vehicles you can buy. A beautiful shadow black exterior and a black interior are just what you need in your next ride. Access your electronic devices hands free with Bluetooth in the vehicle. Interested? Don't let it slip away! Call today for a test drive.